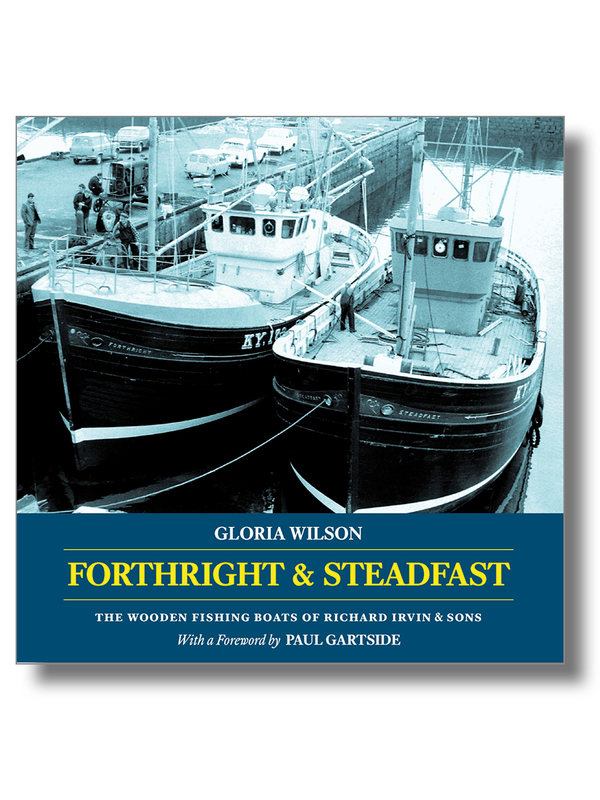 Having recorded in pen and ink the Fishing Boats of Scotland which she loves, Gloria Wilson here focusses her attention on the Peterhead yard of Richard Irvin & Sons, and the wooden, cruiser sterned fishing boats for which it became renowned in the second half of the twentieth century. Almost one hundred of her own photographs accompany her account of the boats and the people who made up a distinctive and now disappearing maritime culture. Gloria Wilson truly belongs in the tradition of the folklorists—individuals moved initially by the discovery of beauty in the commonplace who are then compelled to understand and record what they find… One hopes her example will spur others to similar effort, for the capturing of culture and local knowledge before it slips away is always a noble pursuit. ISBN 978-1-907206-41-2; 216 x 216mm, 138 pages, many photographs, drawings. Softcover with sewn binding, cover flaps and matt lamination.